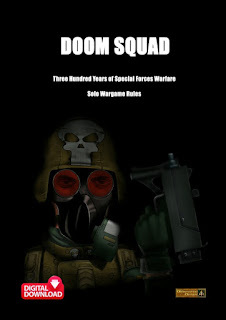 Alternative Armies: Wheels Pack and Elf Dragoon Conversion Pack released! Wheels Pack and Elf Dragoon Conversion Pack released! Late on last year there was a thread running on the venerable Notables Yahoo Group among Flintloque fans concerning wheels. Wheels for adding to dioramas, for converting and scratch building and also for outfitting cannons and howitzers differently. 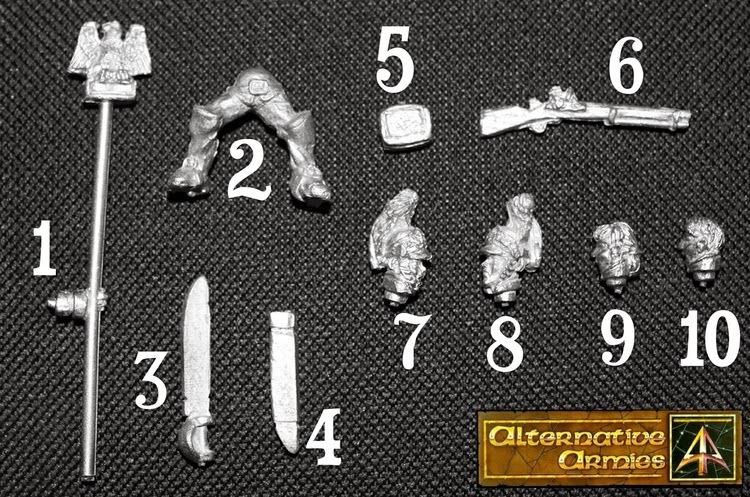 Alternative Armies took this idea on board and we are pleased to now release a new pack into the Battlefield Bits range alongside our Debris and Muskets as well as Bits & Sprues codes. We also have a great conversion pack now released for use with any Ferach Elf force in Flintloque and or Slaughterloo. This pack contains thirty white metal pieces taken from 51533 Ferach Elf Line Dragoons such as various heads, sword, scabbard, eagle standard, cartridge box and more meaning you can adapt or re-build any of our Elves in your collection. Read on for details of both packs. 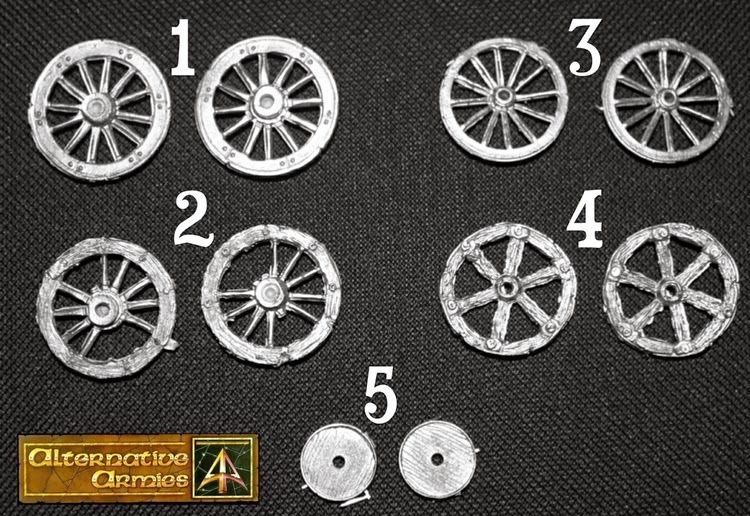 This pack contains ten white metal 28mm scale wheels in five pairs of two. These are suitable for use in Flintloque but also in any historical or fantasy setting as well. The types of wheels are wooden with iron rims (artillery), damaged spokes with iron rims (carts and destroyed), thin iron wheels (carriages and urban uses), primitive all wooden wheels (farm wagons and Undead) and small solid wooden wheels for use with barrows or artillery of a shorter stature. This code can be bought as a pack or using the drop down menu on the product page you can select a pair of wheels for single purchase. Pack price 5.00GBP Go HERE. This pack contains thirty white metal 28mm scale parts. These are suitable for use in Flintloque and Slaughterloo as well as with some more historical settings too. The pieces contained are randomly selected but will include the following. An Imperial Eagle standard held in a hand for wrist mounting, a pair of Dragoon legs and waist in line uniform (allowing conversions of upper bodies of miniatures), Cavalry Sabre, Sabre Scabbard, Cartridge Box, Cavalry Carbine, Dragoon head in helmet mouth open shouting, Dragoon head in helmet mouth closed, Dragoon bare headed with hair tied back and Dragoon head bare mouth open shouting. You will get a fair mix of thirty parts in the pack. These parts are all taken from 51533 Elf Line Dragoons codes. This code can be bought as a pack or using the drop down menu on the product page you can select any of the listed parts for single purchase. Pack Price 7.50GBP. Go HERE. Its a bumper week for those who like to convert their Alternative Armies miniatures. Enjoy! As you know, I picked up some spare carriages last years, so I'm OK at the moment, but will be taking advantage of the wheel pack as soon as supplies run low. Sure thing Tony. Remember you have a code for the Notables 6% discount too that can be used. I'll post details when the model is a little more finished. Thanks. Yes you did. I see the Artillery Wheel on the side of the building. I intend to feature the model once it is finished with your ending post so people can look back at it as it took shape.